If Congress—Republicans and/or Democrats—really want to fix the problems of universal access to quality, affordable healthcare, prevention and wellness services as well as improving retirement security for all Americans, they should consider consolidating Medicare, Medicaid, the Children Health Insurance Program (CHIP) and Social Security into a single new National Healthcare and Retirement Security Fund. As a part of this consolidation, Congress should also do several other things. First, refund all the IOUs currently in the Social Security Trust Fund and outlaw any future transfer of Social Security funds into the General Operating Accounts of the federal government. Second, establish an autonomous board and agency to administer the new National Healthcare and Retirement Security Fund. As a part of that process, the Board of the new consolidated agency should be authorized to invest up to a maximum of 25 percent of its assets in T-Bills, Triple A state and municipal bonds, mutual funds and/or other similar investment assets, domestically or internationally. Investments in corporate stocks and bonds should be prohibited. 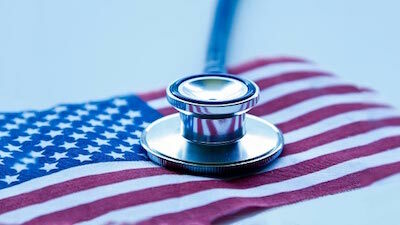 Third, the new agency should be authorized to provide access to healthcare services through direct payment to providers for wellness and prevention care and through subsidizing the purchasing of health insurance and catastrophic care by individuals from any insurance company operating in the United States. (In other words, allow insurance to be sold across state lines.) All these policies should be required to cover preexisting conditions. Fourth, any individual receiving employer provided health insurance should have their share of the cost treated as a pre-tax expense. Employers should be allowed to deduct a portion of their healthcare expenses from their taxes. Fifth, the new agency should be empowered and authorized to negotiate prescription drug prices. The more that can be done in the area of wellness and prevention care, even among individuals with preexisting conditions, the healthier people will become and over the long term, this along with reducing the cost of prescription drugs and the cost of a medical education will reduce the cost of healthcare. As it relates to retirement security, Congress should consolidate all existing federal retirement savings accounts into one Portable Retirement Account. Contributions to this new account would be done with pre-tax dollars and individuals would be allowed to invest no more than 30 percent of their funds in the stock market. In a financial emergency, individuals should be allowed to access a maximum of 10 percent of the funds in their account not to exceed $10,000 without the withdrawal being subject to tax penalties or investment fees. As a part of this effort, Congress should also raise the federal minimum wage to the level of a national living wage. Higher wages would allow more Americans to save more for their retirement. The new National Retirement Security Fund should be used to supplement private retirement savings accounts to ensure that all retirees live above the poverty line. We are aware that all the numbers in this proposal would be decided by Congress should they move forward with the general framework outlined in this proposal. The programs, we are recommending be consolidated, were established to address the challenges of their times. We are at a new point in time and are facing new challenges of ever increasing health insurance premiums and insufficient individual retirement savings growing out of the challenges of income inequality, the gender pay gap and an inadequate minimum wage as FDR did in his time. All of these proposed changes may not be enough depending on the future impact of Artificial Intelligence on our national and global economy. Nonetheless, it’s once again time for new ideas and new solutions; the next iteration of a Fair/New Deal. Authors: Robinson and Adams are professors at the Barbara Jordan-Mickey Leland School of Public Affairs at Texas Southern University. Consolidating entitlement programs makes fiscal sense. However, the big question is who would have oversight and ensure efficiency? We need to think in terms of the future and technology. We should be able to streamline and increase productivity through consolidation. Thoughtfulness is needed to answer these difficult policy questions.